Lady Bird Johnson, wife of President Lyndon B Johnson, together with Helen Hayes founded what became the Lady Bird Johnson Wildflower Center which is both stunningly beautiful and a significant educational resource. Mrs Johnson, Texas-born like her husband, devoted considerable time, energy and enthusiasm to promoting knowledge and appreciation of the vast number of native Texan plants, encouraging the planting of indigenous species and in so doing gave the state of Texas an immeasurable gift. 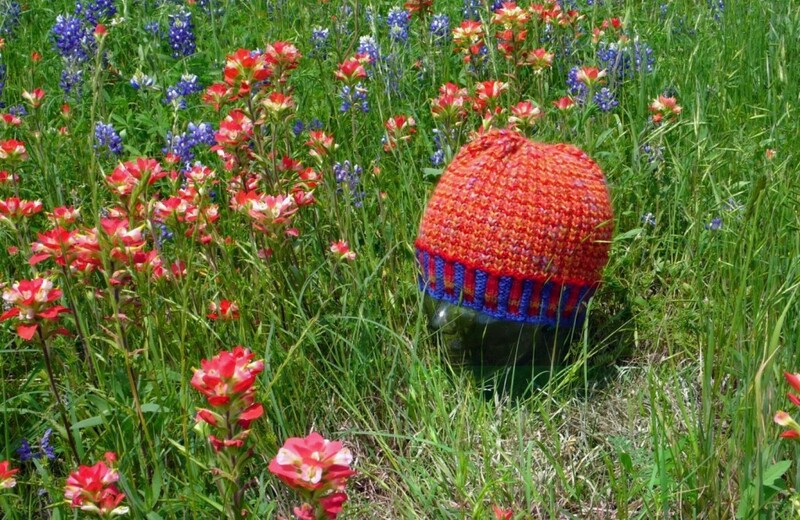 Texas fields and highways are awash with color each spring as the flowers bloom, as is many a private garden whose owner appreciates the beauty of the flowers and the ecological advantages of planting them. This year the blooms have been breathtaking in their color and abundance, thanks to some well-timed early spring rains, even though Texas still suffers from a severe drought. Bluebonnets are amongst the first to appear; so intense is their hue that the fields seem blanketed in a dense blue velvet. 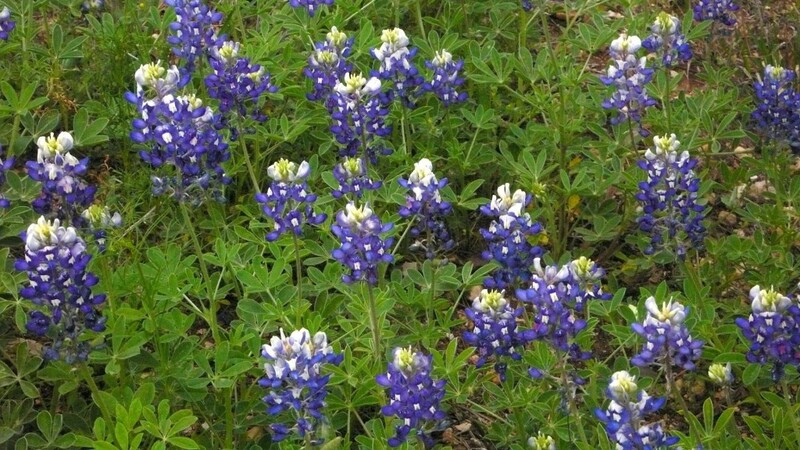 They are followed by Indian Paintbrush, Winecap, Primrose, Mexican Hat, and daisies to name just some of the wildflowers which call Texas home. Such beauty! To mark their appearance Jason got a new hat from some bits of yarn in my stash, and even though he’s missed most of the wildflowers of the Pelion this year, he didn’t complain.